Zombies are still intensely popular despite their over-saturation in recent years, and developers are faced with a constant struggle to profit off our fascination with them in fresh and outstanding ways. Every now and then, one plucky studio succeeds, reigniting our adoration for the undead when we were just about sick of shambling cannibals. Deadlight looked to be the next game to do it. It's a sidescrolling puzzle-platformer, heavy on the atmosphere and classy in its presentation. It appeared damn exciting for a long time, and upon first playing it, it truly seems like one of the best zombie games ever made. Then it drops the ball, and the ball stays on the floor forever. Deadlight's opening act is, in short, absolutely magnificent. 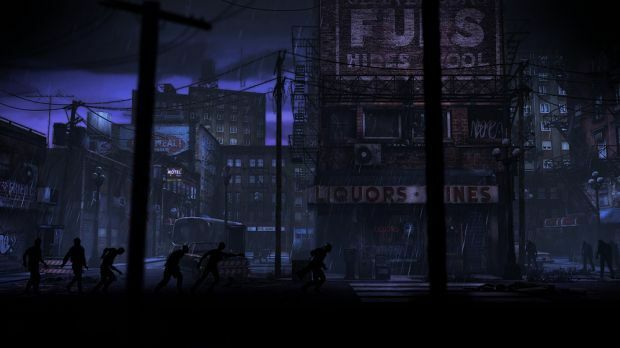 It takes a lot of effort and skill to make a game truly frightening when utilizing a disengaged sidescrolling perspective, but there is a real fearful edge to Tequila Works' presentation, a sense that the hungry dead could burst from anywhere and make short work of protagonist Randall Wayne. Tequila has aimed for a classic puzzle-platformer in the same vein as Heart of Darkness, Abe's Oddysee, or more recent games like Limbo. 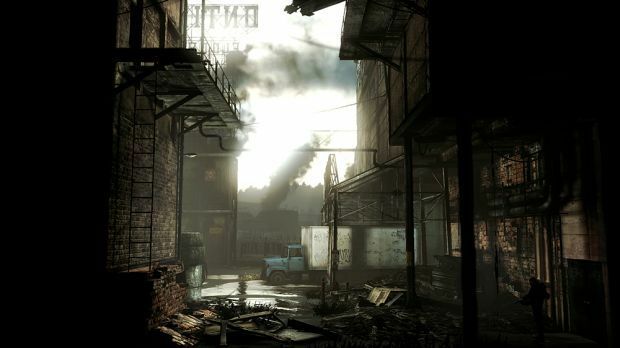 As Wayne picks his way through a devastated Seattle, players will need to jump chasms, navigate decrepit buildings, work their way past obstacles, and escape groaning hordes of so-called "Shadows." As the game starts, everything seems to work. The side-on perspective leads to some beautifully spooky imagery in both the background and foreground, leading to a world that feels dense and truly believable. The somber tones and constant noise of the moaning dead remind the player that danger lurks in every corner, and for that first act, one can't help but be impressed. Sure, Randall's inability to swim seems ridiculous, especially when just touching water will cause him to sink like a stone, and yes, the game's need to have our hero placed in pixel-specific locations in order to have him perform certain actions is questionable, but the pacing is slow enough that it doesn't matter. Combat elements, especially the clunky and sloppy melee attacks, are frustrating, but this isn't a fighting game, is it? During the first act, everything seems like it'll be forgivable, provided the pace and atmosphere remain the same. However, this is all before the second act appears. Suddenly, the zombies are almost entirely forgotten, replaced by a series of increasingly inane traps set up by an old man calling himself the Rat. It makes zero logical sense (why is Randall jumping through deathtraps when he could just follow the Rat through the safe, easily accessible background path?) and, as the game gets duller, as the puzzles grow increasingly tiresome, Deadlight cashes in every last cent of credit it had managed to wrack up. Randall's inability to swim just becomes irritating. The need for pixel-specific character placement is cheaply exploited to trick the player, since if you try to make a jump from anywhere other than an exact location, Randall will fall so short of the mark that the jump looks impossible. One particular section had me and another reviewer stumped, all because of a jump that was animated to look like it was too far if you failed to launch from the perfect spot. 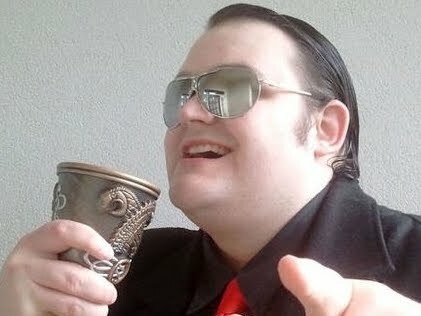 As for the combat? Soon enough, Deadlight forces enough encounters with enemies both living and dead that the protagonist's sluggish, unresponsive actions cannot be overlooked. By the time act three rolls around, any patience one might have had for the game's negative aspects are more or less drained. Sadly, the truest tests of tolerance are found in that closing third (this is a pretty short game, by the way). Here is where Tequila pulls out the trial-and-error moments, those moments where you are killed by design due to your lack of clairvoyance. In games like Limbo or Heart of Darkness, death is part of the gameplay. Dying means you need to solve a puzzle -- and the deaths themselves are so creative that it's all part of the fun. In Deadlight, death isn't used to guide you, to tell you what you need to fix. It's just thrown in to punish you for not second-guessing where the developer would put a trap or an enemy. Nowhere are these deaths more exploitative than in the various "chase" sequences. At times, Randall will need to run from (and through) hordes of zombies, jumping over deathtraps and obstacles. These moments seem to deliberately invoke mobile "runner" games such as Canabalt, except Canabalt is actually fun and isn't littered with zombies that will grab the player and force a button-mashing sequence that lasts just long enough for the next few zombies to catch up and get clingy. Adding to the problem is Randall's unwieldy animations that see him slip and slide everywhere, and more of those pixel-specific jumps that players need to make while being rushed. These sequences are clearly intended to be scary and intense. You can see just how desperately Tequila wants you to believe they are. However, they're so badly stitched together that any adrenaline-pumping panic is quickly replaced by swear-inducing exasperation. 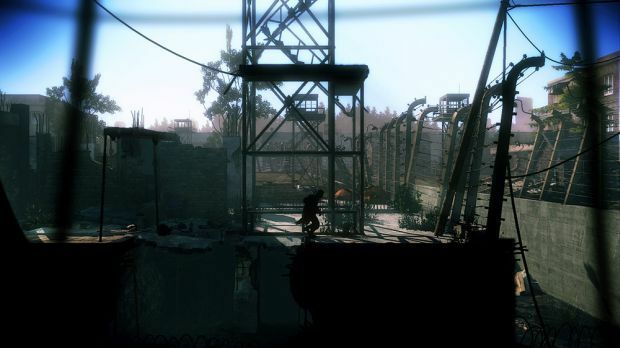 Rather than fix the game's flaws, Deadlight instead takes advantage of them in order to falsify a sense of challenge. These are genuine game design faults that contribute to making the experience less enjoyable, and rather than address that, Deadlight chose instead to use them to screw the player over. I don't think I've ever seen a game that manages to start so strong and get progressively worse. Even the story falls apart, opening as a decent little homage to The Walking Dead before devolving into straight rip-off territory, gleefully pilfering the best bits of other zombie stories and making them less interesting. As Randall starts spewing quasi-philosophical soundbites and experiencing labored flashbacks to his wife and child, one sees only a contrived attempt to make the game seem "deep" and "emotional." Really, it just comes off like a developer ticking a check box, making sure it's got the token amount of angst and the factory-standard dream sequences, just enough to fool the public into thinking it's artistic. By the time Deadlight reaches its "twist" ending, the reveal has been telegraphed so blatantly by the preceding emotional parade that it comes off as corny and insulting. To its credit, the game looks beautiful, but you'll need to turn the brightness up because somebody decided having a pitch-black protagonist against pitch-black backgrounds was a good idea. There are some nice, subtle music and sound effects too, though the voice acting is fairly irritating and the dialog comes off as something you'd read in bad fan fiction. That said, the comic book references in the characters' names and the Achievements named after song titles are nice touches. Be warned that the game has a weird tendency to give you a "profile update error," claiming your progress cannot be saved because there is no space on the Xbox 360's HDD. This isn't true, and the game is saving. It's pretty confusing, though. 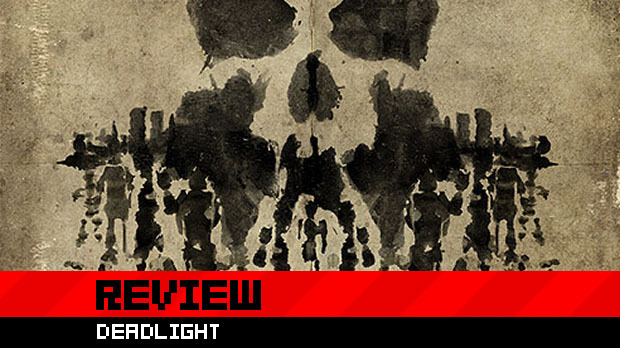 Had Deadlight been able to replicate the brilliance of its first third for the rest of its adventure, this would have been a very different review, one hailing the next best zombie game ever made. Unfortunately, a beautiful intro does not a great game make, and the full product is a disappointment to say the absolute least. Tequila clearly has a lot of talent and an ability to craft genuinely intimidating, memorable environments -- Deadlight demonstrates the wealth of inventiveness the studio possesses. Yet it feels squandered on lazy design in the second chapter and mistreatment of player trust in the third. If you want to see just how far a game can fall from greatness to squalor in the span of a handful of hours, then Deadlight is for you.